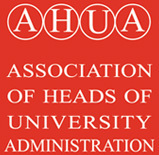 AHUA is the representative body for senior University managers (typically Registrars, Chief Operating Officers, Heads of Administration) in the United Kingdom and Ireland. assists in the development of colleagues who aim to fill senior roles in HE administration. No resources were found. Please search again or try filtering.